The smooth, well-defined and firmer abdomen is a symbol of a beautifully contoured body profile. Abdominoplasty commonly called Tummy tuck is coming forward by providing a cosmetic solution to people who don’t like their body shape. The treatment works by removing excess fat and loosely bound skin from the middle and lower abdomen. This causes tightening of abdominal muscles leading to the reduced appearance of protruding posture. Remember, this technique isn’t preferred for body weight loss. More rigid and smooth tummy is achieved, lasting for long. Depending on the expertise of surgeon, technique, and equipment used, patients come up with noticeable changes. Muscles of the abdominal wall tighten that have lax over time. Final results of Tummy Tuck in Islamabad, Pakistan are observed after the complete internal healing process. 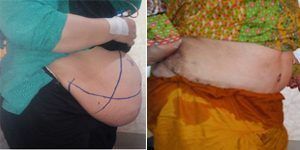 Tummy Tuck Treatment in Rawalpindi & Islamabad, following removal of excess and fats, aims to help millions of patients by providing enhanced physical appearance. This is achieved by tightening skin tissues and muscles of the abdominal wall. 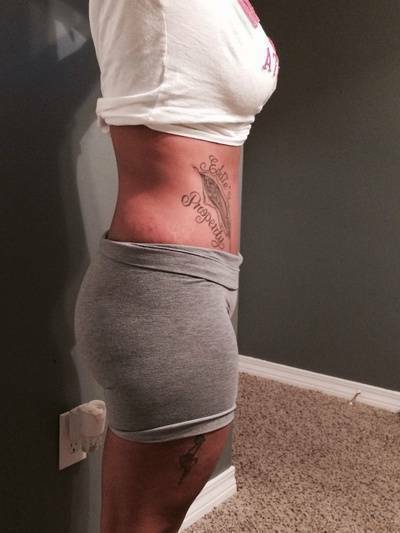 The major goal is to reveal a properly shaped and well-contoured waist with quicker recovery. By attaining desired cosmetic goals, abdominoplasty is progressing throughout the world with a high satisfaction rate. The patient is administered under general anesthesia. This is done to cause numbness. A patient is made unconscious of the environment. This step helps in carrying out the procedure with no discomfort. A small incision is created horizontally in between the public hairline and belly button. Surgeon gives proper shape to the incision and position it accurately and precisely that depends on the amount of skin removal. Following the procedure, the second incision is made in the upper abdomen. This is done for pulling down the skin. The excess skin is trimmed with the help of medical equipment and the surrounding skin is sutured. Once the incisions are created and saggy skin is eradicated, it gives rise to the opening of a new belly button. The belly button is further cracked and sutured into a definite position. Incisions are made closed with the help of sutures, tapes, and clips. The whole procedure completes and results in a perfectly contoured abdomen. Once the treatment is done, the patient feels mild swelling, bruising, and little changes in the sensation which settle down within 2-3 days. Heavy exercises are usually restricted. A sufferer can return to daily activities after 2 weeks of treatment. Compression wearing is advised for better healing and keeping the blood flow normally. Stitches are not required to be removed as they get dissolve themselves. SKN cosmetic surgery is offering cosmetic tummy tuck treatment that makes the procedure more appealing for people. Interested patients should discuss the procedure in detail with an expert surgeon and consider all the advice before deciding whether to undergo surgery. Our board-certified surgeons have years of experience performing Tummy tuck Treatment in Rawalpindi & Islamabad and are happy to help you in achieving the appearance you want. Fill in the consultation form and book your appointment today.